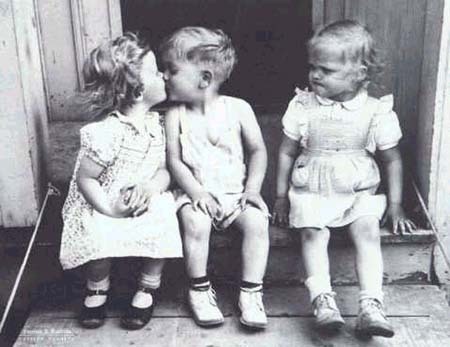 Jealousy. What is it? In the dictionary it is defined as being envious, covetous, possessive, suspicious, mistrustful, zealous in maintaining or guarding something. I get jumpy inside when I get jealous. My heart beats a little faster and a warm sensation rushes to my face. It’s a bad feeling. Jealousy in me almost always has to do with the love / affection. I never find myself envious of possessions, money or roles. I don’t care what others have and I have no desire in obtaining it. But when there is a threat to the attention and affection of of a person I care about, I become threatened, jealous and possessive. A deep jealousy produces fear of losing someone who loves me or whom I love. Jealousy is a strange word. I loved the idea of my girlfriend getting jealous. It communicated to me that she cared. But it took me a long time to realize it wasn’t so much that she cared, but that she was insecure. I think, jealousy has to do with, self esteem, low self concept or feeling inadequate. I don’t like admitting I’m jealous but I am. It usually happens when I’m insecure about the woman in my life. It’s funny, and this has always happened to me. When I first begin dating a girl, I rarely ever get jealous but when the relationship grows I automatically become threatened by her past, ex-boyfriends etc. I don’t like the idea of an ex-boyfriend calling my girlfriend. I don’t like letters or cards being sent to her. I don’t lik it her smiling at guys or vice-versa. Now, isn’t that absurd? First of all, I don’t understand why I don’t feel this way in the beginning of a relalionship. It can’t be I don’t care, because if that were the case I wouldn’t be involved in any type of relationship. When I come down to my senses, I know that being jealous is a waste of time, a sign of insecurity. But I guess to some people its a sign of caring. Some say it’s an old-fashioned way of showing you care. The only time I don’t encounter jealousy is when I trust a person.But now I’ve come to realize that a person I can’t trust is a person unworthy of my time. Being jealous is real and I can’t deny it, but my self-esteem and self concept are far more real and important.